Herbert Golser works almost exclusively with wood and marble reducing his chosen material to a maximum level of fragility and malleability. Golser transposes the wood into extraordinary organic sculptures, which appear both completely new yet recognizable from an ancient past. 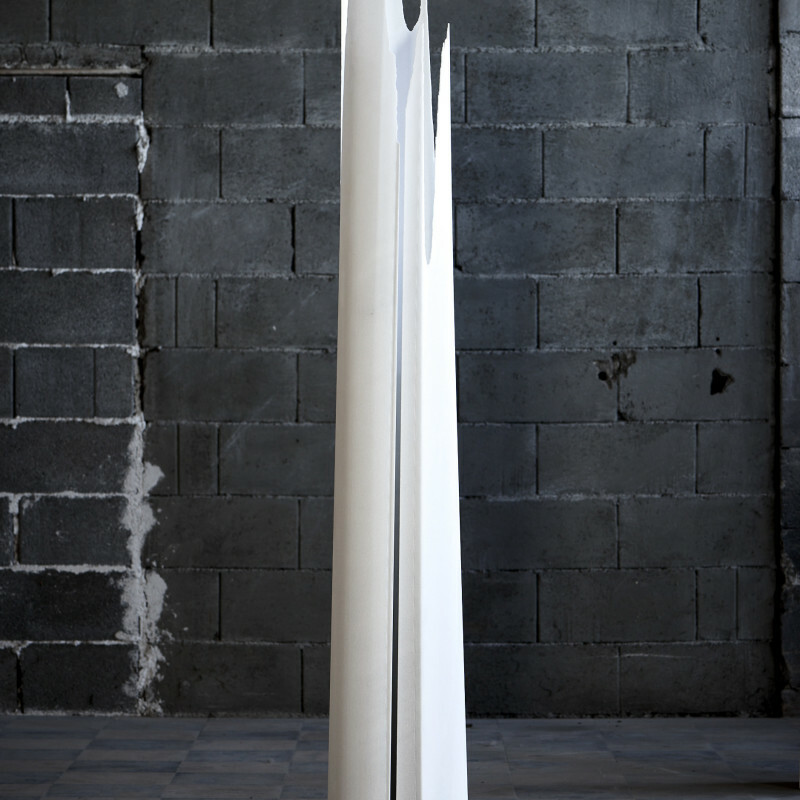 Herbert Golser’s white Arabic marble columns have enabled him to push his practice into a new direction whilst at the same time maintain the same concerns which has made his sculptures in wood so renowned: The ability to stretch the supposed limits of a material into realms which have never been seen before. The contemporary art world tends to be obsessed with concepts and narratives. This places Herbert Golser in an interesting position: His sculptures do not possess any overt messages, but rather he creates extraordinarily beautiful pieces directly out of nature’s purest material, revealing both the power of the artist to enrich our lives but also, more importantly, he opens our eyes and directs our senses towards what lies inside our natural world; surely there are few more noble 'concepts' than this. Herbert Golser (b. 1960) currently lives and works in Klein-Pöchlarn, lower Austria. He has attended the University of Applied Arts in Vienna under the direction of Prof. Bruno Gironcoli graduating with distinction (1988-93), as well as the Technical School for Wood and Stone Sculpture, Hellein (1982-85). Golser has won numerous prestigious awards such as the residence Maltator Gmünd (Austria, 2014), first place at the City of Pöchlarn Art Prize (2013), and the residence Fundacion Torre-Pujales Corme in Galicia (Spain, 2012). His work is featured in multiple public spaces in Austria, Hungary and Italy; in Austrian churches (Loosdorf/Melk – Lower Austria, and Draßburg). In 2013 Herbert Golser was part of The-Solo-Project in Basel.